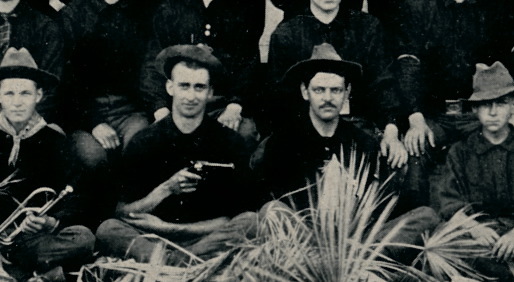 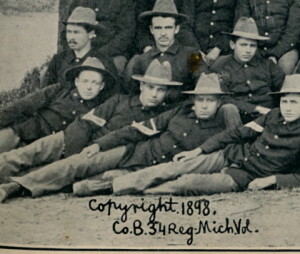 Close up, Walter in first row, far left. 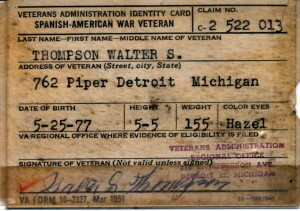 Grandpa Walter wasn’t a war hero in the traditional sense. 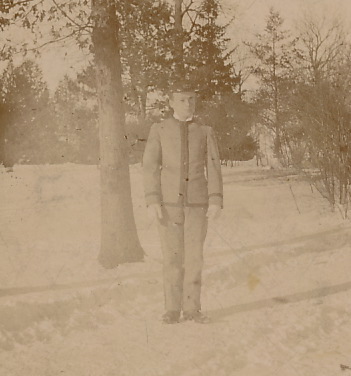 There is no record of him charging up an enemy hill, or saving a fallen soldier. 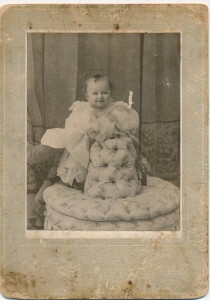 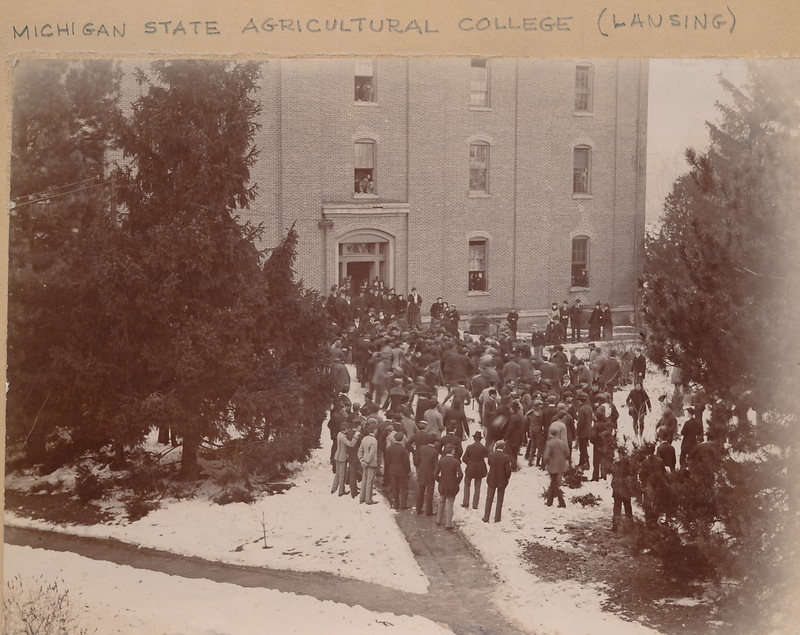 In 1898, Walter was a student at Michigan State Agricultural College in Lansing, Michigan. 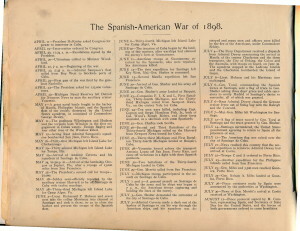 He, along with thousands of other young people, heard the cries of an outraged nation and volunteered to fight a war against Spain. He once told me that while at school, he received a letter from his father, telling him to stay in school and refrain from joining the Army. 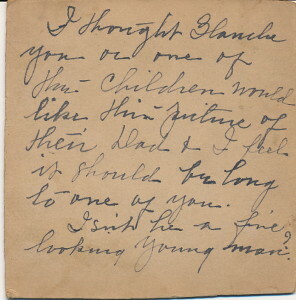 He immediately replied to his father’s advice, saying: “It’s too late. 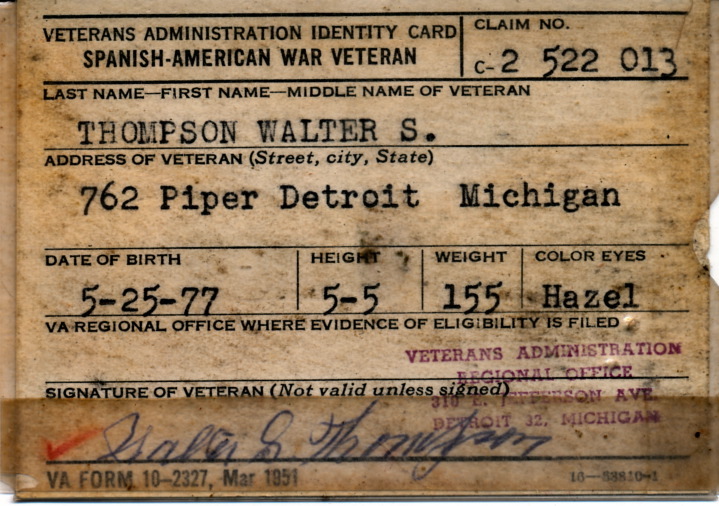 I volunteered yesterday.” He was, and will always remain my hero; my Grandpa, Walter Stacy Thompson. 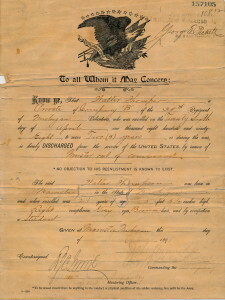 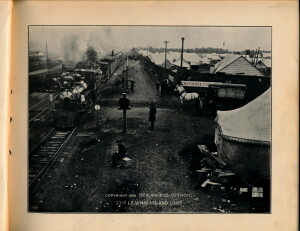 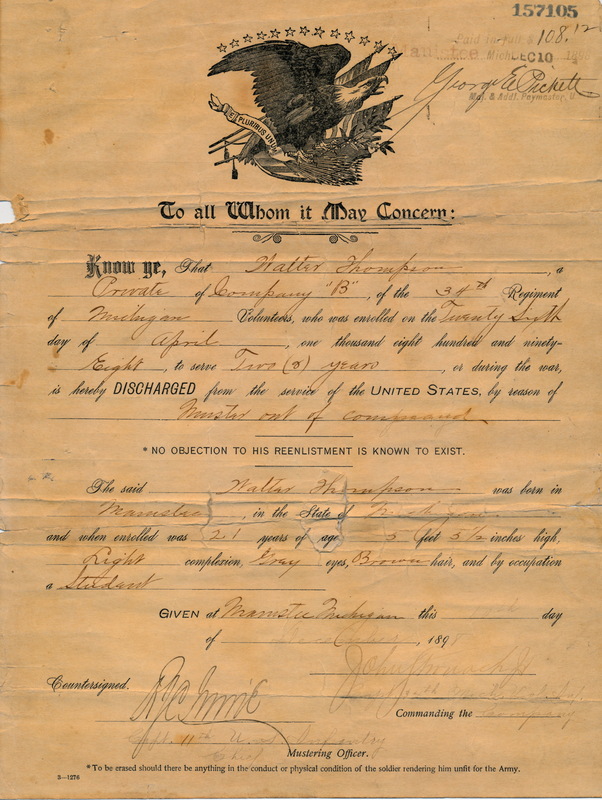 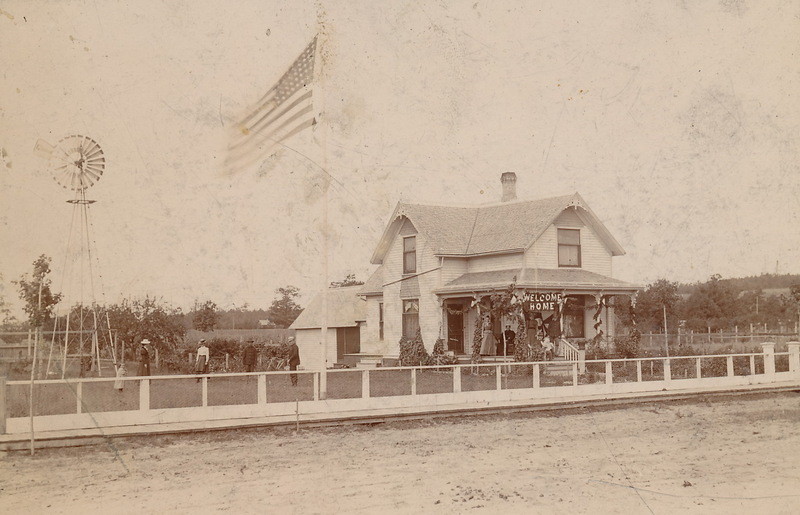 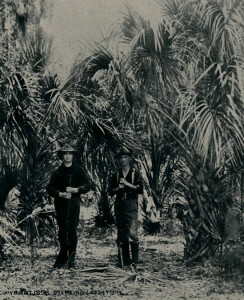 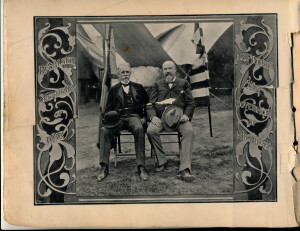 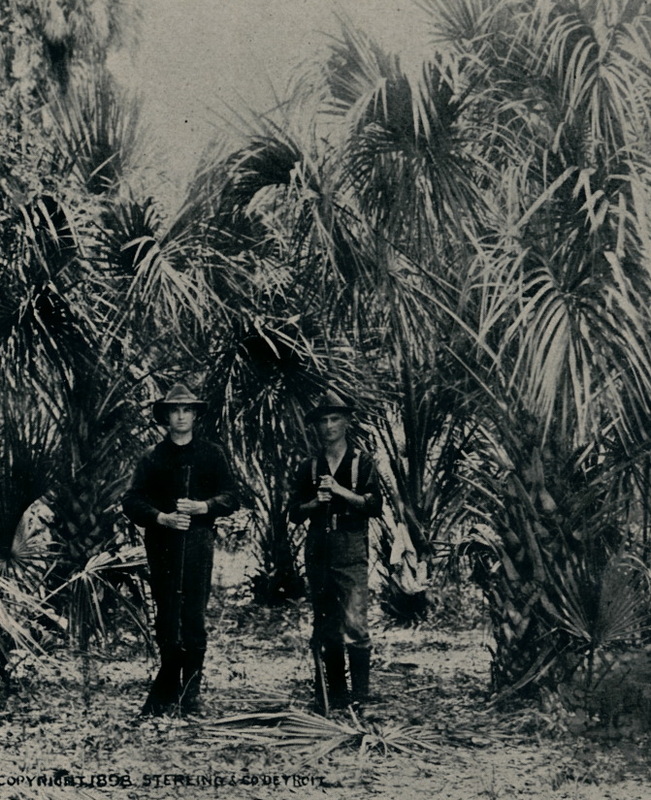 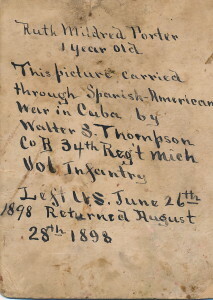 Walter mustered in at Camp Eaton, Island Lake Michigan, and then traveled via train to Chickamaunga, Tampa Florida, where his regiment set sail for Cuba. 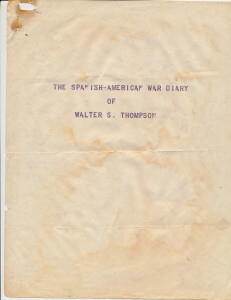 Walter kept a diary. 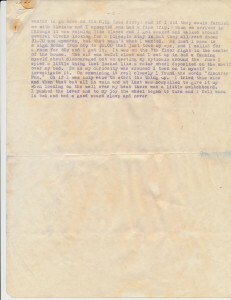 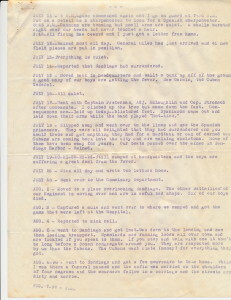 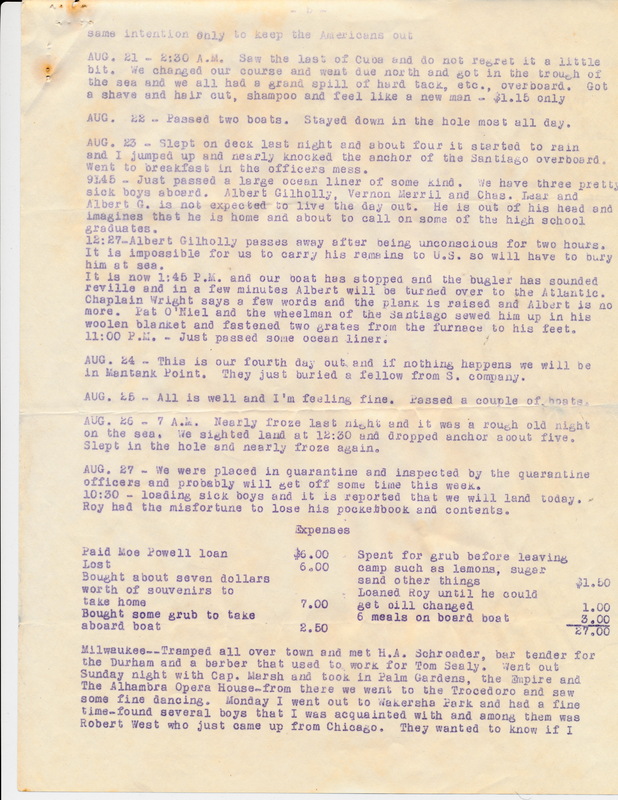 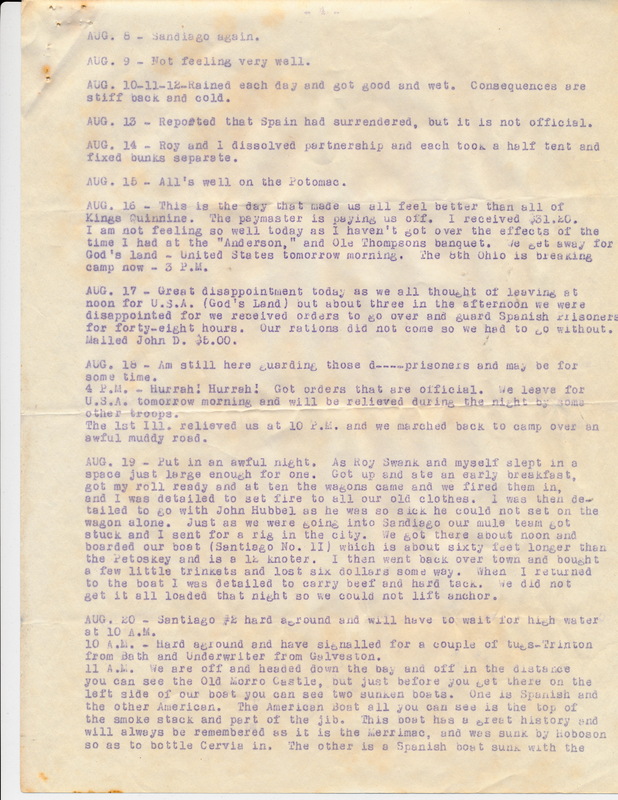 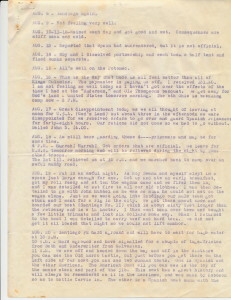 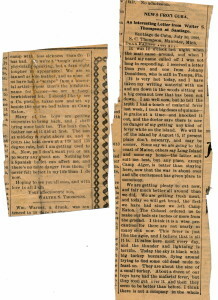 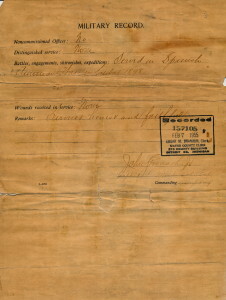 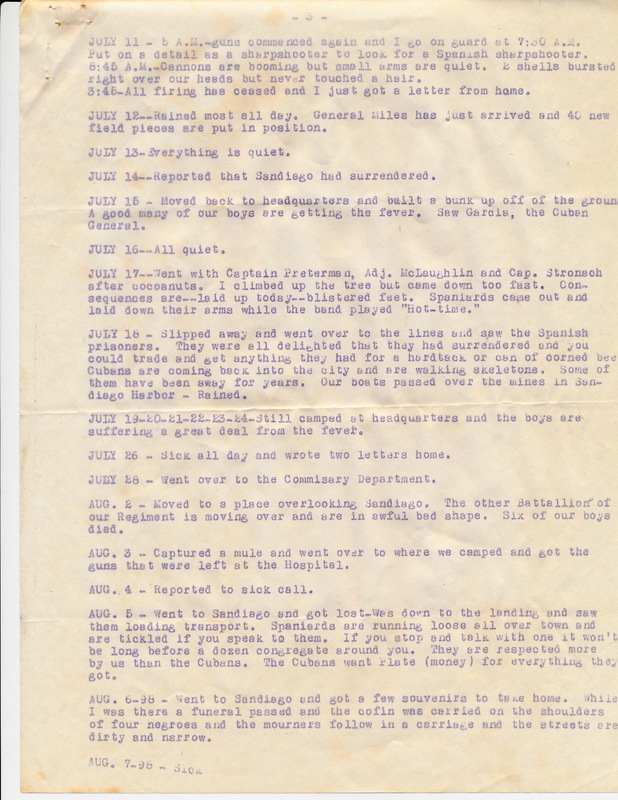 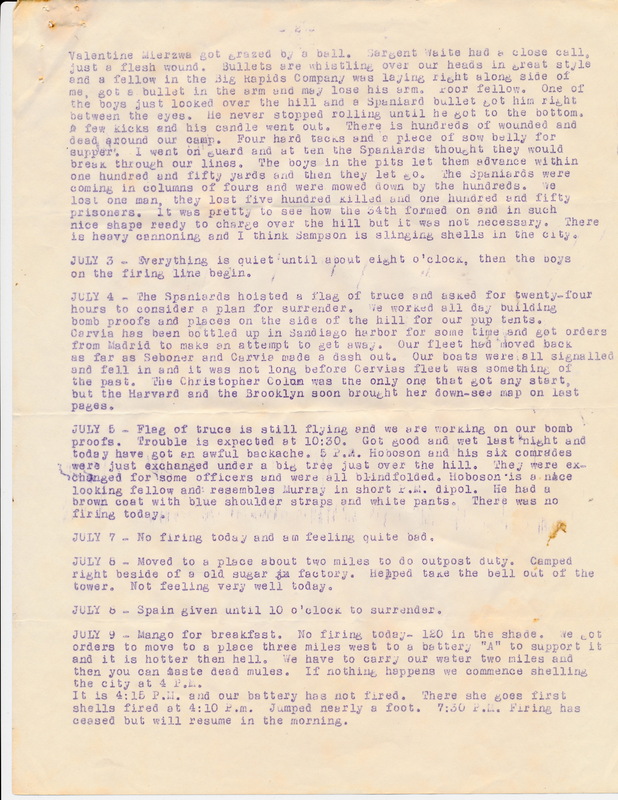 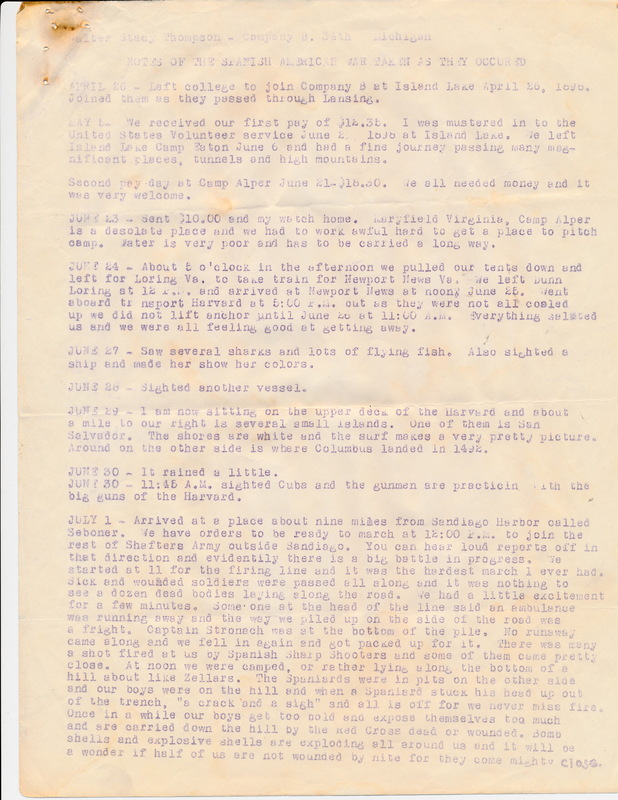 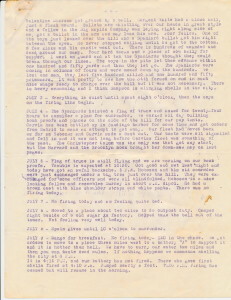 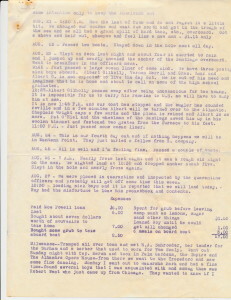 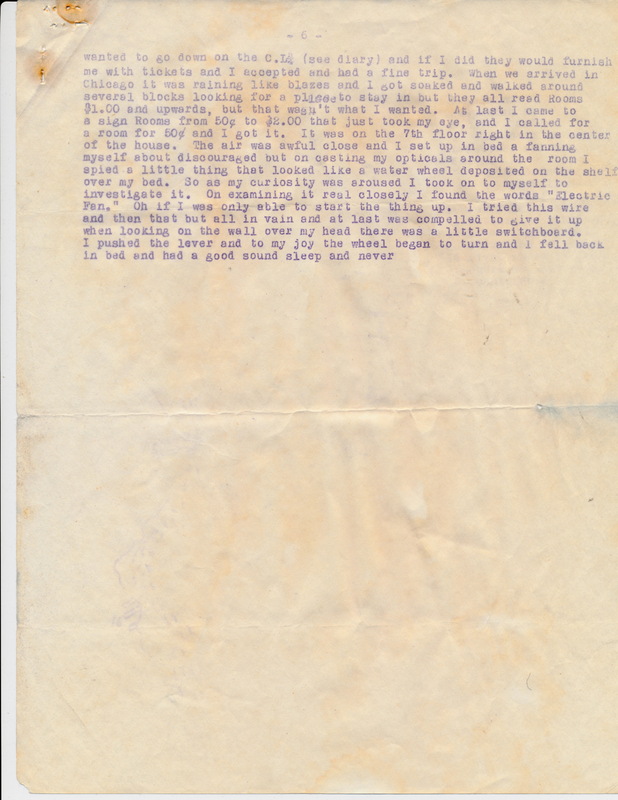 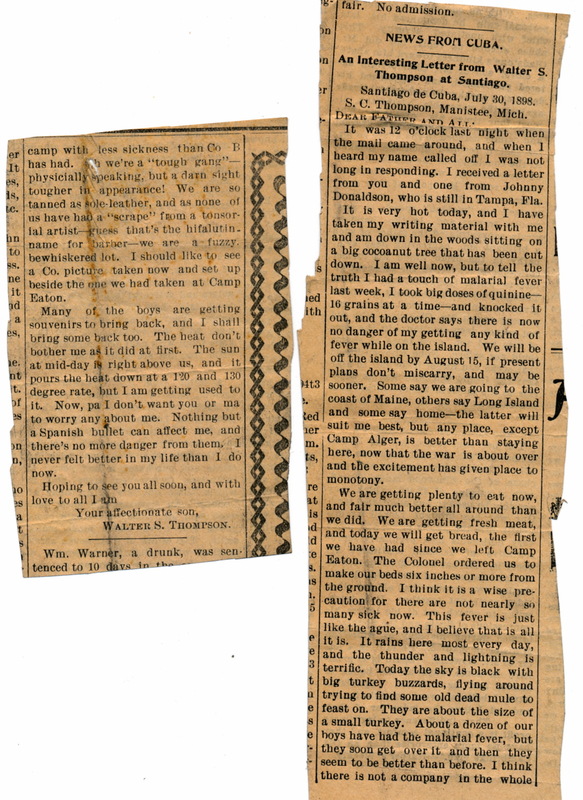 Below is a transcription of his account of events in which he participated. 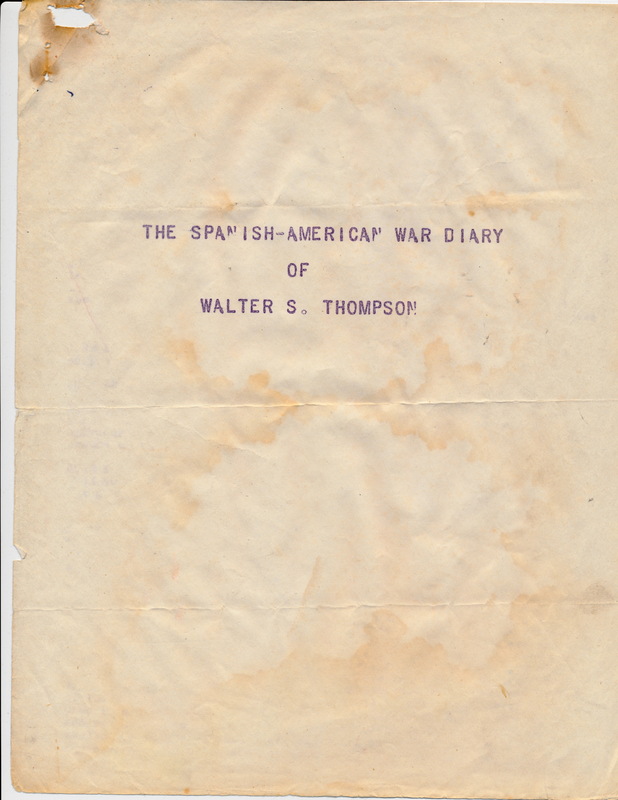 I don’t have the original diary as I believe he donated it, along with his uniform, gun and bayonet, to the Manistee Historical Museum. 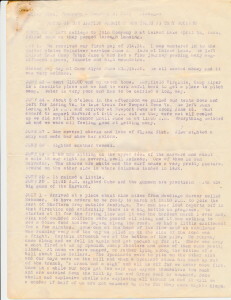 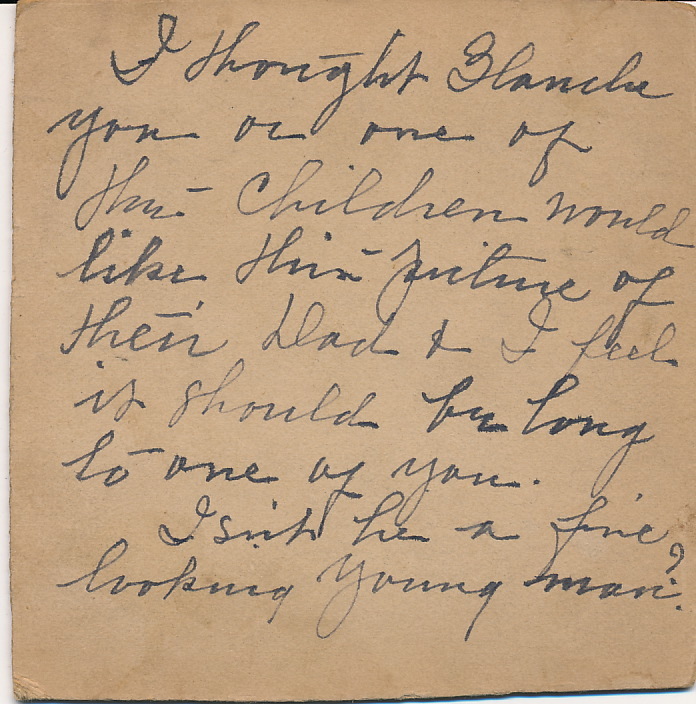 My mother typed the transcription which is seen below. 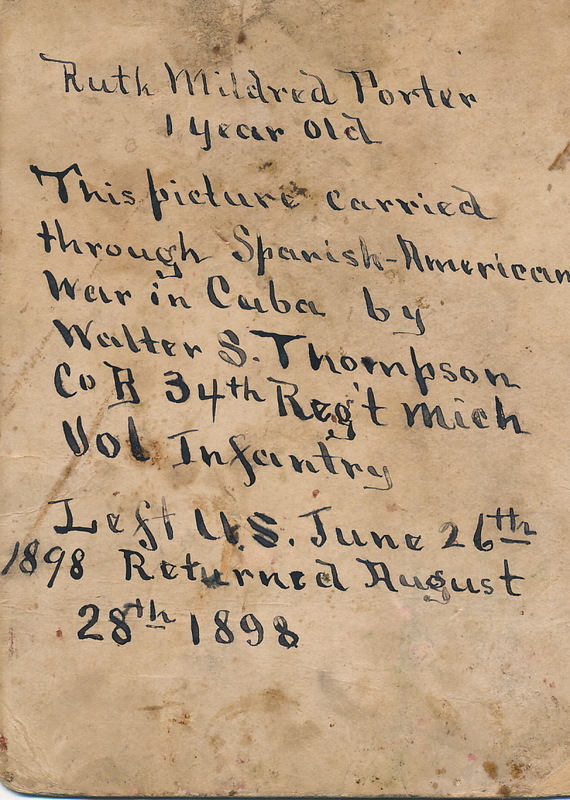 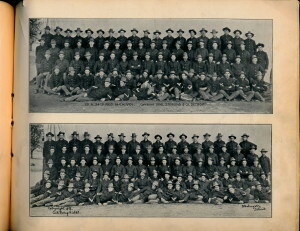 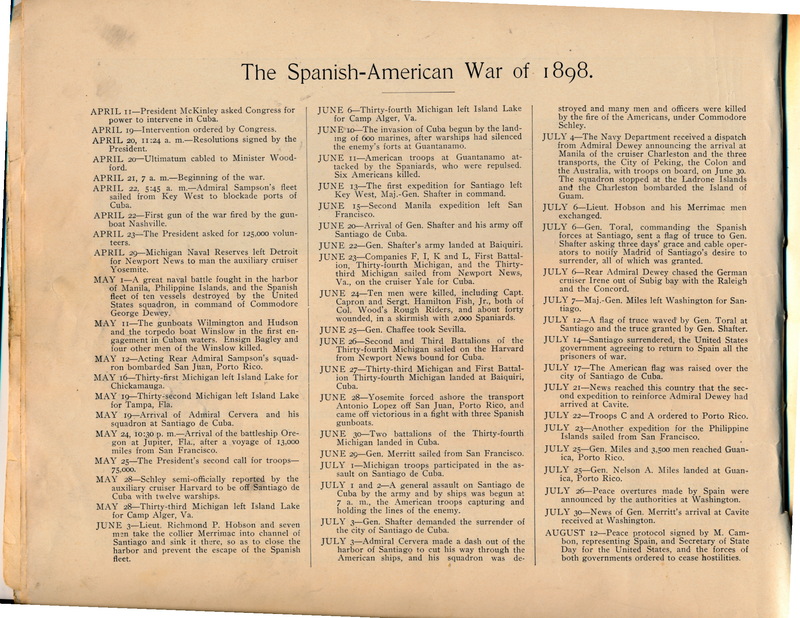 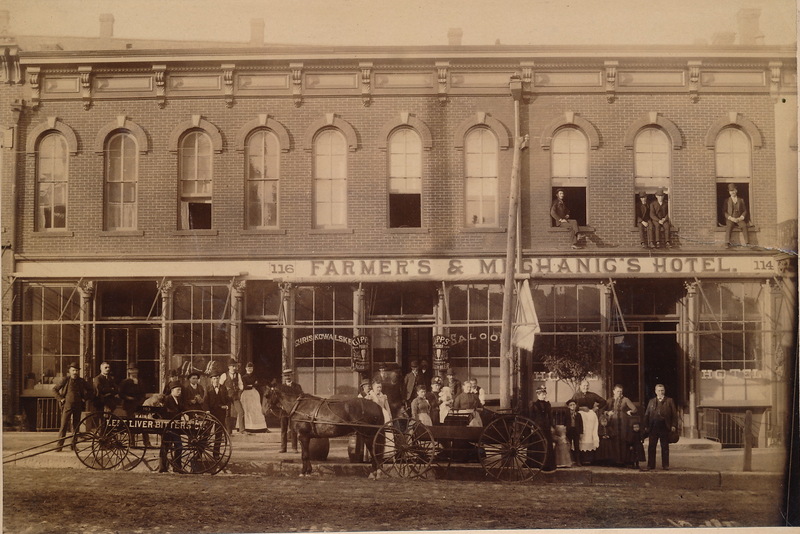 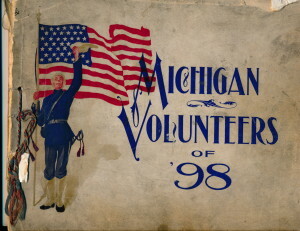 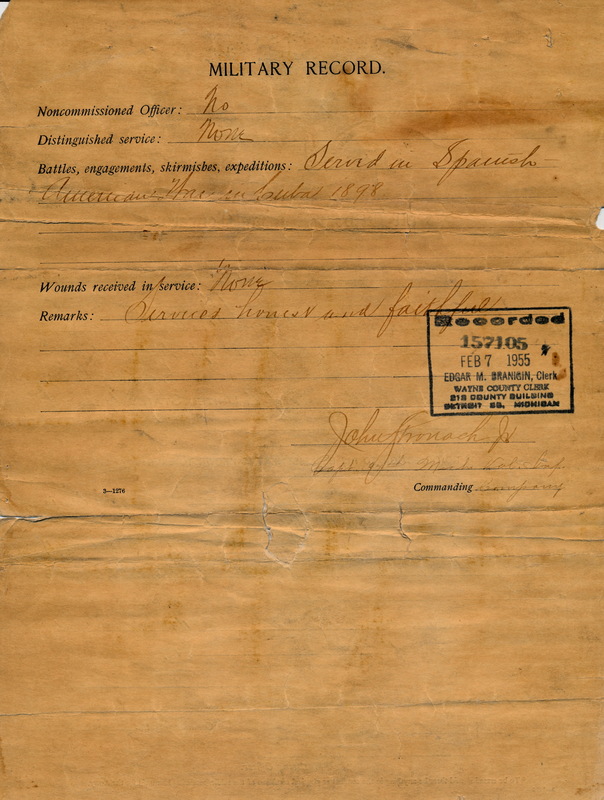 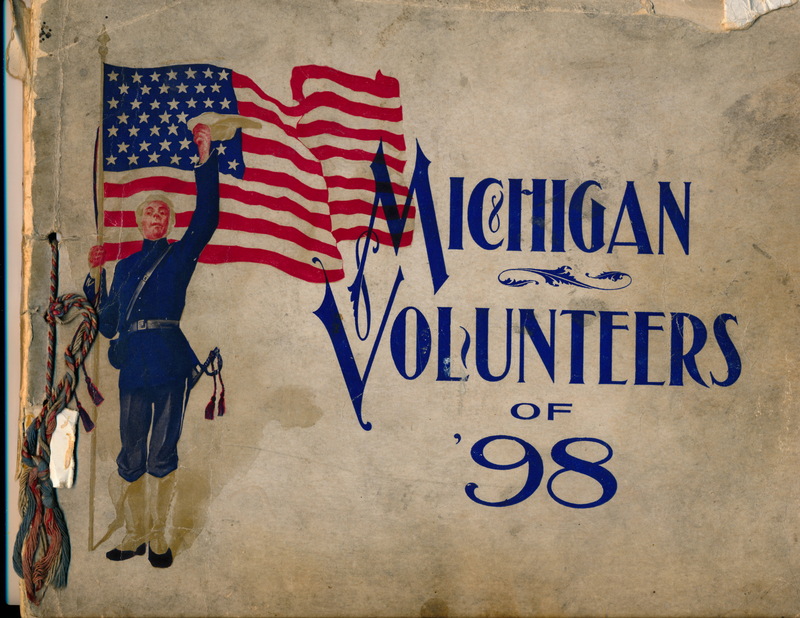 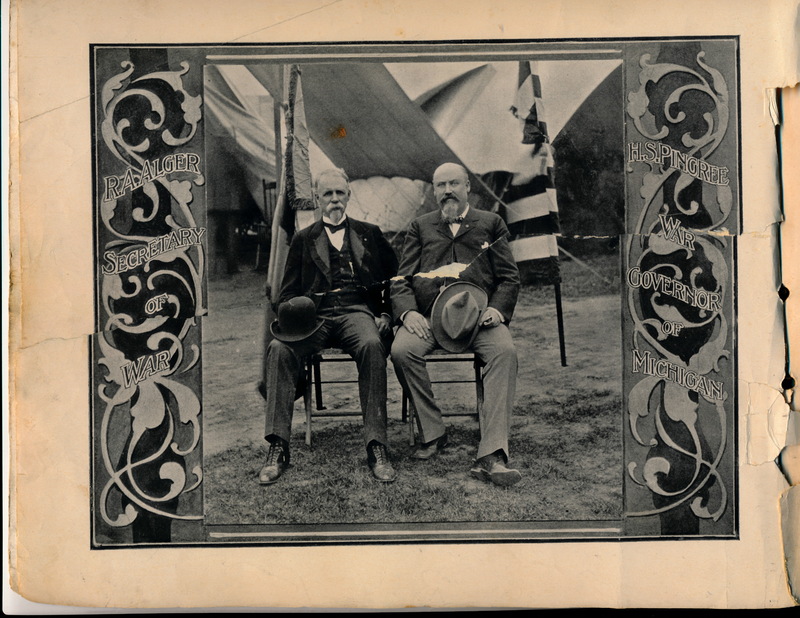 Some of the photos of his regiment and the war are taken from Michigan Volunteers of ’98, a “Complete Photographic Record of Michigan’s Part In The Spanish-American War of 1898,” published by G. F. Sterling & Co., Detroit, Michigan. 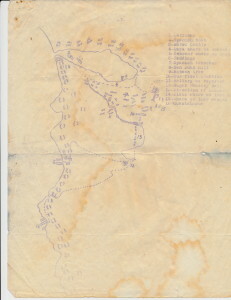 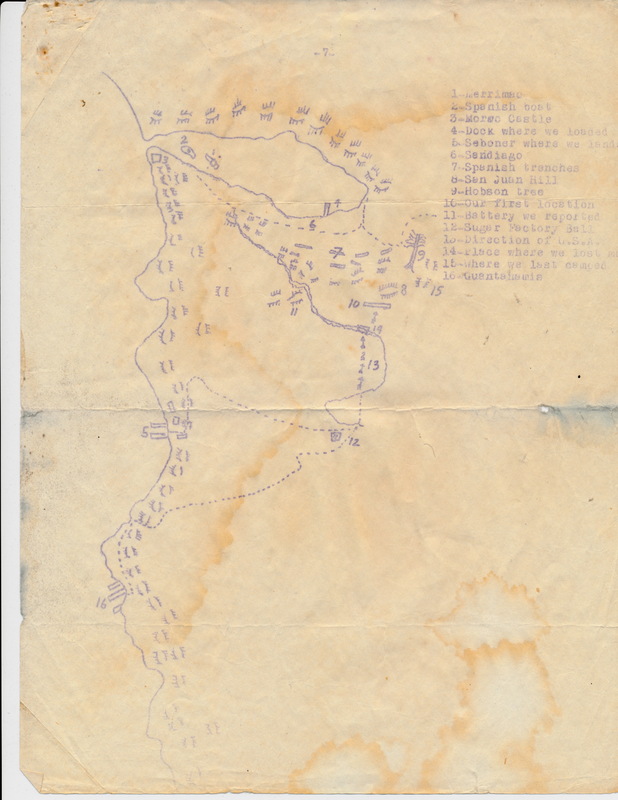 Page 7, Final Page & Map. 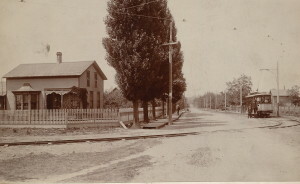 A later home of Walter & Blanche. 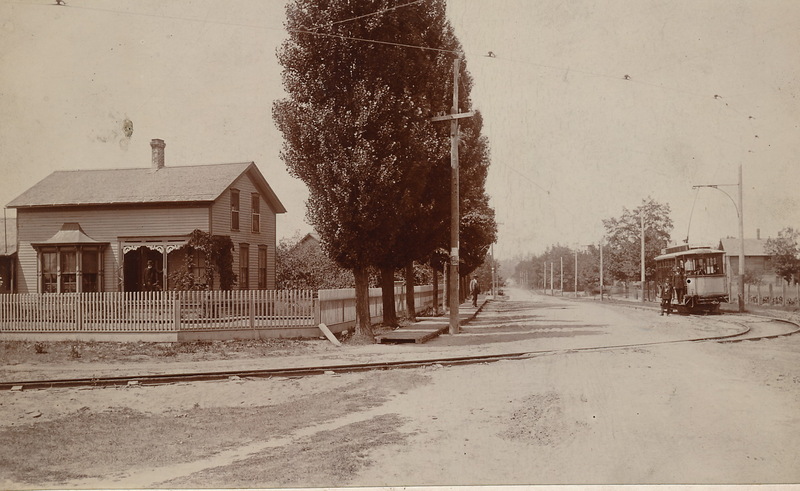 Where the Trolley turns to Orchard Beach.